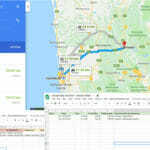 You can create your own maps by adding a number of other layers on top of the Google Map using the Google My Maps feature. 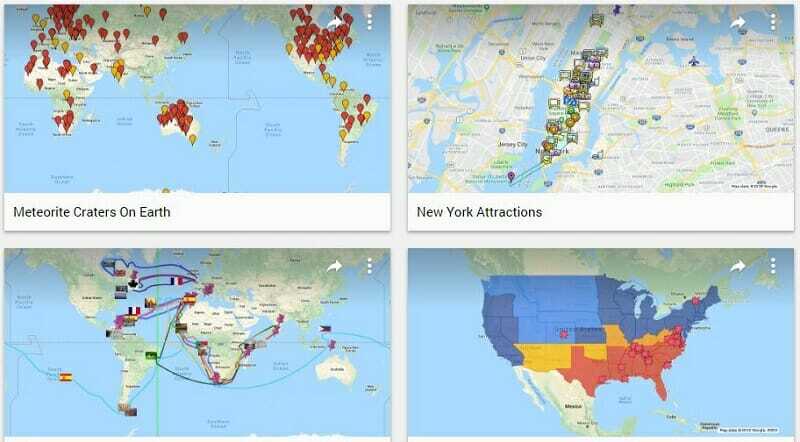 In this post, I will show you how easily you can create your own maps using Google My Maps. First of all you need to be logged into Your Google account using your gmail. Let’s assume you’re going to organize some kind of a survey in a number of geographically dispersed locations. It will make you job easy if you can map the survey location and include all the attribute of the locations in the map. You may also need to communicate the survey plan to your staff. To create your map, go to Google My Maps and, click “CREATE A NEW MAP” button. You can also access this feature through Google Maps menu, Your Places > Maps > Create Map. 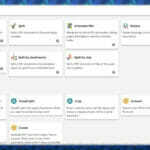 Now you have created a new map and it will automatically save on your Google Drive. To rename your map, click on “Untitled map” and provide your map title and description in the relevant fields of the popup window. You can organize your map features with map layers. For example, you can put your survey locations into one layer and accommodations into another layer. You can name these layers, add different icons and colors etc… You can have 2000 lines, shapes or places in a layer and a map can have up to 10,000 lines, shapes, or places. You can add your places by searching for locations or drawing them directly on the map. To draw a place, click the marker icon and again click on the map where you want to add the place. Now you can rename the marker add a description too. 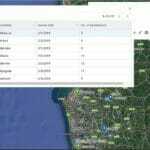 If you have set of coordinates (latitude and longitude) as a spreadsheet or as a csv file you can import them to a layer. Those coordinates are added to the map with separate marker for each coordinate. You can either draw lines and polygons arbitrarily on the map or use driving mode to connect your points via the road network. And also you can import lines and polygons in kml formats. You can also add more information to the markers using the data table. To open the data table, click on the “Layer options” (the menu icon) of the relevant layer and select “Open data table“. The markers are represented by the rows of the table. You can see the relevant markers are highlighted when you hover over the rows. You can add attributes by adding more columns to the table. The details added, can also be viewed through the marker’s info window. To add a new column (attribute), click the small down arrow at the RHS of an existing column heading and select Insert column before/ after. 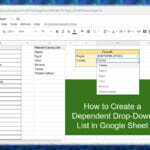 In the popup window, give a column name and select the appropriate data type from the dropdown and click the Add button. You can apply different colors for markers to make your map more meaningful. Colors can be applied based on layers, based on attribute values, or individual basis. Too apply individual styles, hover over the legend and click on the paint bucket. You can also access this function from info window of the marker. To apply colors based on the values of the data table, click the paintbrush icon below the layer name. Then select the column name from the “Group places by” dropdown list. Click the paint brush icon located just below the layer name. In the popup menu, click the dropdown menu under the “Set labels” option. Then select the attribute name you are prefered to add as labels. To change the base map, click the small arrow (Base map) at the bottom of the legend and select a suitable base map. You can share the map among your team using using their Gmail addresses, then they also can view/ edit the map. You can select the access levels from the dropdown menu: Can view or Can edit. Zoom the map into appropriate level (you may have to do some trial and errors). Then click the menu icon in front of the map title and select “Print map” (you can also use Ctrl+P to access this option). Then change the print setting appropriately and click “Print“. This post is a basic introduction to Google my maps. The “My Map” options are not limited to the above. Visit Google My Map Help to learn more about My Maps.